Its time to test your concentration and observational skills. In this picture there are many triangles. Can you tell how many triangles do you see in this picture? 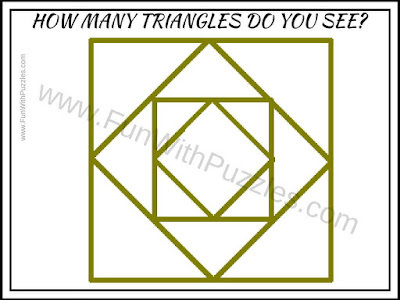 Answer of this Triangles Counting Picture Puzzle can be viewed by clicking on button. Please do give your best try before looking at the answer. The Answer to this puzzle is on hold. Do write your answer in the comments section of this post.